Emily Dolton’s son Aidan is having the best school year of his academic life. He’s thriving at Innovation Middle School but school wasn’t always this good for Aidan, who has special needs. The 12-year-old was born with 22q11.2 Deletion Syndrome (22q), a chromosomal disorder caused by a missing piece on chromosome 22. The condition, which occurs in one in every 2,000 infants, often results in health problems including cleft palate, heart problems and immune system issues. Diagnosed with 22q as a baby, Aidan had heart surgery. Nowadays his 22q is characterized by learning disability, anxiety and ADHD. He had developmental delays in early childhood and has benefited from occupational, physical and speech language therapy. 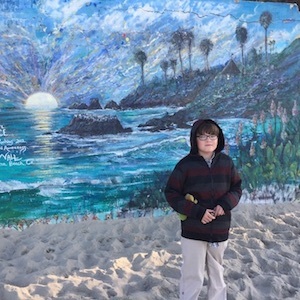 Like many children with special needs, Aidan has an Individualized Education Program (IEP), a document developed by the student’s teachers and family to address his educational needs. The focus is on finding meaningful ways to help the student learn. “What does my child need to level the playing field in the classroom?” asks Dolton, who explains no two IEPs are the same. For example, her son struggles with the dexterity of handwriting. But when working with technology, like he does at school, his writing skills improve. “An IEP is a legally binding document that delineates the commitment of resources to meet the agreed upon goals,” says Mary Ellen Stives and her staff at the State Council on Developmental Disabilities (SCDD). Students with learning disabilities benefit from IEPs, which help parents and educators outline a plan for a child’s specific needs, including providing a written record of skills that have been mastered and those that need to be worked on, as well as tracking evidence of progress. IEPs protect parents’ rights to have a say in their child’s K-12 education, including the right to be present at decision-making meetings, the ability to examine records and progress and to request additional resources, if they’re not offered. Stives and her staff stress that IEPs, which are part of the public education system, are not limited to students with severe disabilities. The plans are available to any student, determined through evaluations and assessments, who needs additional services to be successful in school. If a student doesn’t qualify for an IEP, he may be eligible for a study group or a 504 plan, which can help students with learning and attention issues. Assessments tell educators a student’s current level of performance, which is compared to where a student should be according to his grade level. This helps with goal development. The appropriate professional, such as a teacher or occupational therapist, analyzes those needs and develops a teaching plan for the student. Then the accommodations, modifications and services needed to implement those goals become part of the IEP. Services might include extra test taking time, preferential seating, reduced homework assignments, use of a calculator when not otherwise allowed and other accommodations. Understanding the whole IEP process can be difficult. The biggest challenges for parents can be understanding a child’s needs and trusting educators to do what’s in the child’s best interests. SCDD staff urges parents not to get overwhelmed by information. Parents who need help advocating for a student with special needs can get assistance from a school district ombudsman. Parents can also hire an advocate to help develop an IEP. Even friends and family members can assist at meetings. “You can invite anyone who is in the best interest of the child,” says Dolton. Start the IEP Conversation Early. Dolton and her husband typically approach the IEP team a month before the meeting, explaining their concerns so educators know what to focus on and have time to respond. IEP Updates. IEPs update yearly, typically near a student’s birthday, to meet his changing needs. Old IEPs remain in effect until a new one is created and agreed upon by educators and parents, explains Dolton. Parents have time to think it over—the new document doesn’t have to be signed at the meeting. Monitor Progress. If parents aren’t satisfied with an IEP, they can request another meeting with the educator to discuss concerns. If the district doesn’t follow the IEP, the parent can file a compliance complaint with the state department of education. Kristen Castillo is an award-winning freelance writer and Chula Vista resident.